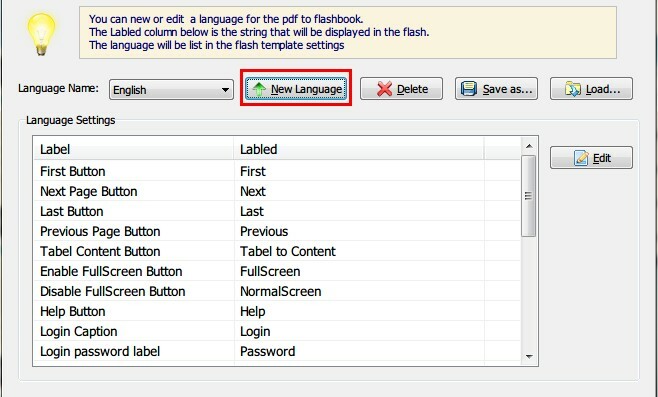 Q: How to define my own book menu language? Hey, I have a question to ask you. I’m working on a German magazine, and I was trying to make it to a flash book. 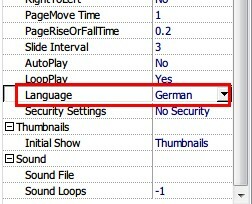 But when I import it to the software, I found that the flash bar language was in English and the other is Chinese. It’s nothing bad to use English bar, but I think it will be better if I can use German. To use another bar language, you can edit a new one. 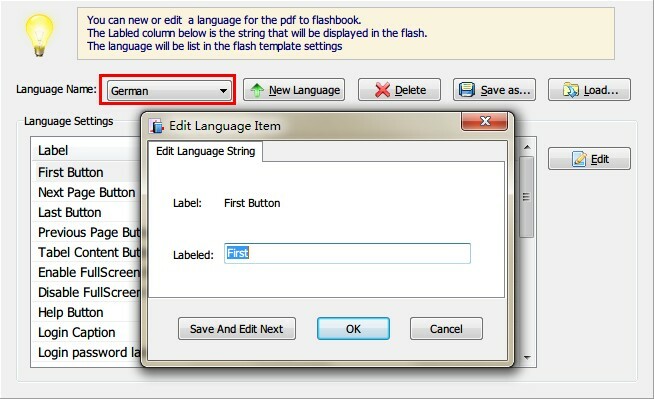 Step4: switch to the new language, and then double click a button caption from the column to edit it. Click “save and edit next” to process to the next one until done. 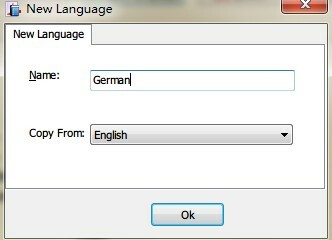 Step5: click “ok” after all were edited and switch to the new language at the designing panel.